The Surrey Heath Volunteer Awards and Christmas networking event was held on 11th December at the Camberley Theatre. We were delighted that over 100 people attended the event and most of those present were volunteers. We had a wonderful afternoon celebrating the amazing contribution to the community made by the many volunteers who work for voluntary organisations in Surrey Heath. The judging panel was assembled with knowledgeable representatives from our local community including the Mayor of Surrey Heath, Councillor Dan Adams, Louise Livingston, Executive Head Transformation, Surrey Heath Borough Council and Gill Hoptkins, Trustee Voluntary Support North Surrey. A raffle was drawn after the presentation of the awards for all the volunteers who were nominated as an additional recognition of thanks. You can see the prizes that were donated below and we should like to thank all those businesses for their generous support. 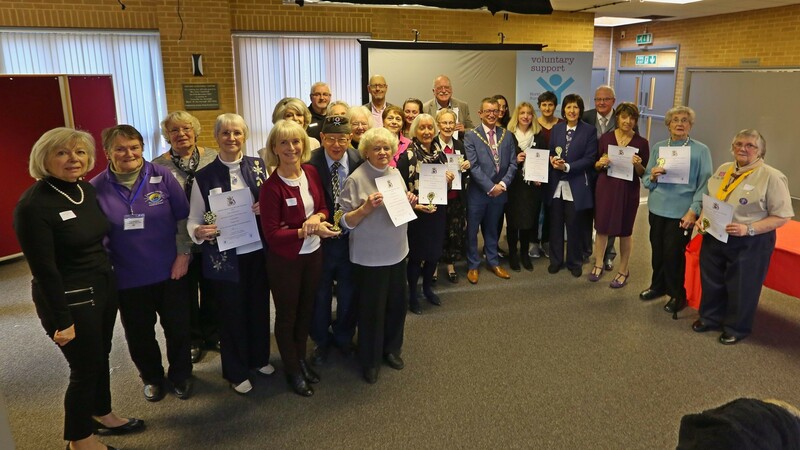 A huge thank you from Voluntary Support North Surrey for everyone that made or received a nomination this year and many thanks to those of you that came along on 11th December to support the Awards Ceremony and make the afternoon a success.